Long time readers of The Small Trailer Enthusiast will know that for about 5 years I had a repr0duction 2010 Serro Scotty HiLander that we sold just about a year ago, due to a growing grandson base. 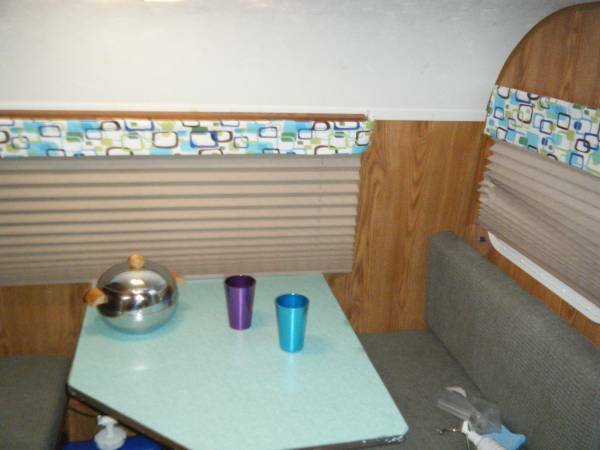 When I posted it for sale about this time in 2015, we got inquiries from all over the country, since there were just a handful of them built (likely less than 100), and they had a reputation for being well built. I still get inquiries every so often from readers interested in where they can get one, as they’ve been out of production since 2012. Well, for those of you who’ve been one of those searching for one, your chance is now to get your hands on my friend Dave’s 2009 HiLander. Dave and his wife bought it when it was about a year old and have had it for about 5 years and are selling it due to some life changes. I’m adding some specs for any of you interested down below. Dave’s located in West Virginia and he can be contacted at catmandu12000@yahoo. com. Asking price is $8999. Once I hear from Dave that it sells, I’ll post an update up at the top of this page. Legendary style meets everyday life. Stand apart from the crowd with this timeless classic. 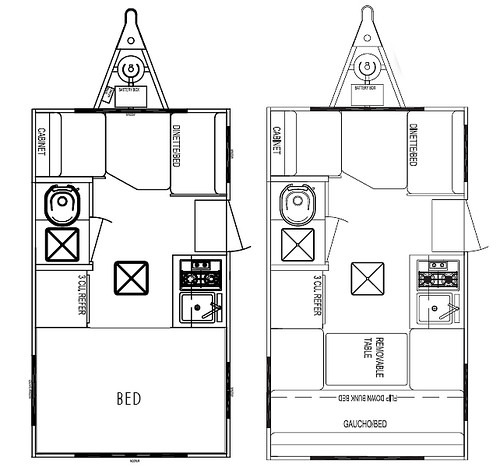 All the features of home are found in your HiLander. A shower/toilet combination saves those late night hikes. 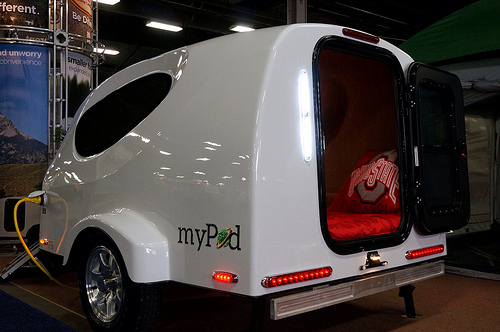 It is designed to comfortably sleep four with a single front and full sized rear bed with an overhead bunk. Safety is always first with a full frame underneath, fire extinguisher, escape hatch and a deadbolt door lock. Perfect for family adventures! 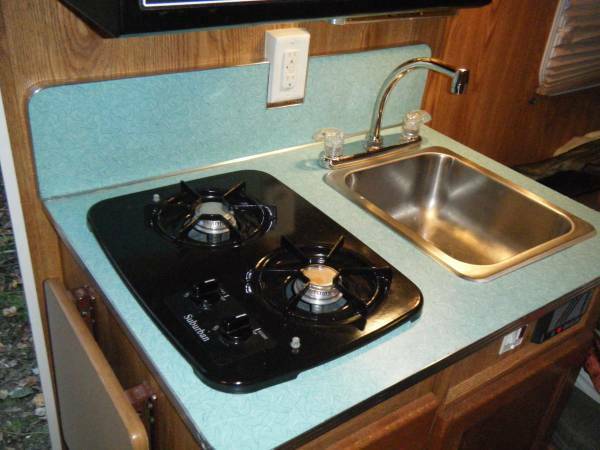 Standards include; sink, stove, furnace, refrigerator, hot water heater and spare tire. 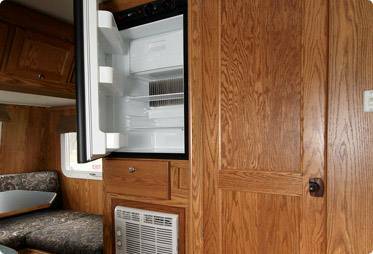 Add even more creature comforts with optional A/C, microwave, awning and TV/DVD. 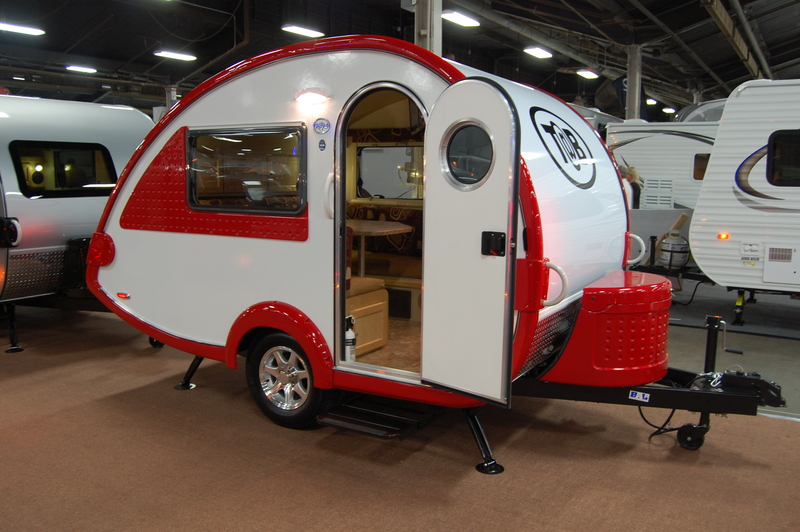 We get a lot of web traffic here at The Small Trailer Enthusiast for people searching for information on r-pods. 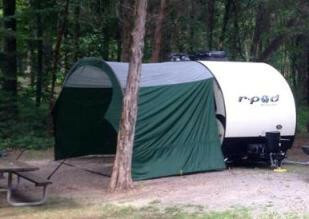 It should come as no surprise as the Forest River built r-pod was the top selling small trailer in 2014. And although not as mass produced as the r-pod, I also see a lot of traffic Safari Alto trailers, which are built in Canada, which I’ve talked about back in 2013. 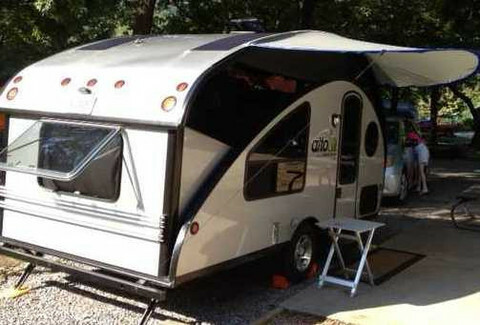 The Tear Drop Shop is now offering awning accessories for both the r-pod and the Alto from PahaQue. 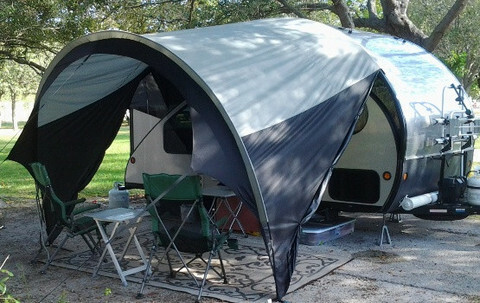 You can get either a regular awning or the small awning visor for either unit. 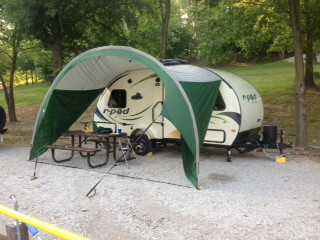 The r-pod accessories can be found on The Tear Drop Shop here, or by clicking one of the ad boxes on the right column of this site. And the Safari Alto accessories can be found here and also in the ad box on the right column. 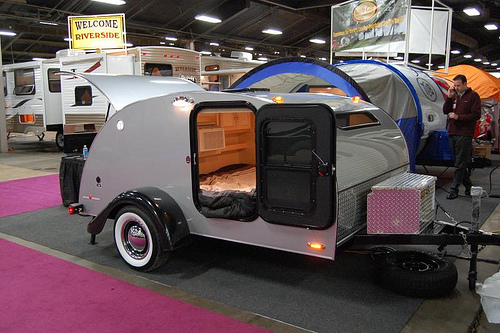 The Small Trailer Enthusiast last week welcomed not one, but two new partners on the web site. Little Guy Worldwide and their online store, The Teardrop Shop, now can be found along the right side of each page you visit on this web site. Little Guy needs no introduction to the vast majority of you reading this. 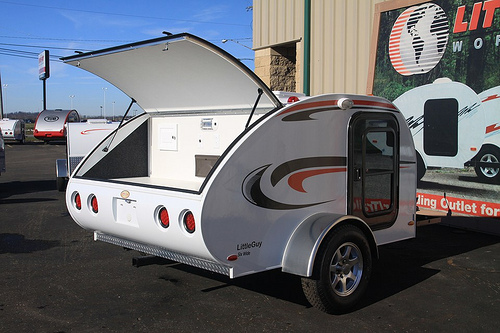 They’ve been the preeminent teardrop trailer company in the U.S. for several years, and continue to expand. 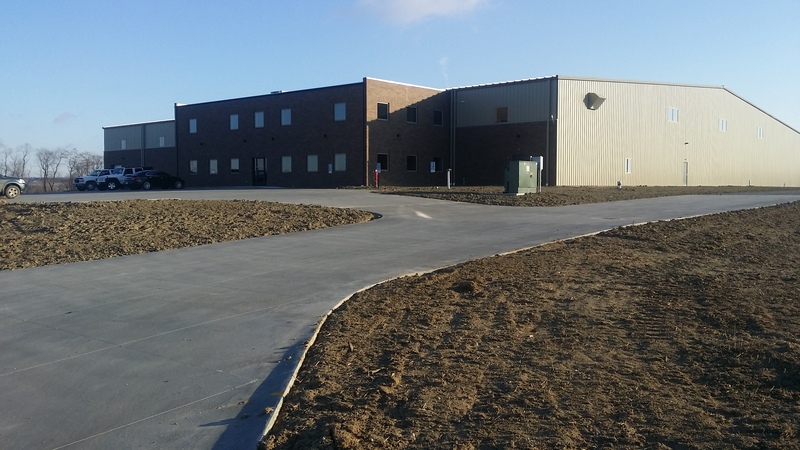 Formed in 2002 in North Canton, Ohio, Little Guy markets and distributes the more than 2,000 trailers a year built by Pleasant Valley Teardrop Trailers in a 65,000 square foot facility in Sugarcreek, Ohio. 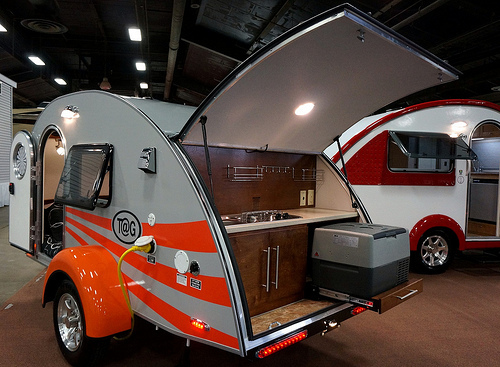 Little Guy is quickly becoming known throughout the RV ownership community as a company that works closely with the owners of their trailers. One example is with the owners of T@Bs built by its previous builder, Dutchmen. When Dutchmen ceased production of the T@B in 2009, Little Guy picked up the torch in 2011 and has continued production of the T@B, all while welcoming the Dutchmen T@B owners within the Little Guy family. Many of the parts on the Little Guy built T@B have parts that can be used on the Dutchmen versions. And compared to the Dutchmen T@Bs, Little Guy has appeared to have dialed in and raised the bar in overall quality of the units produced. 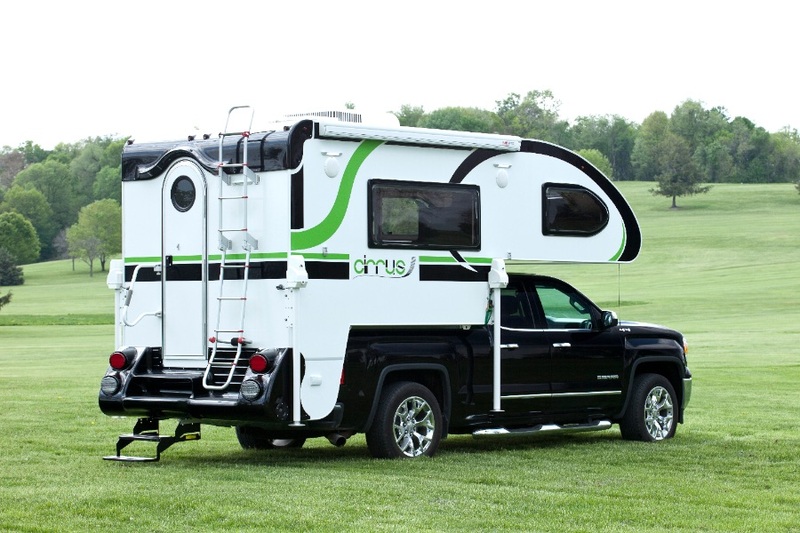 And if a fine array of small trailers weren’t enough, Little Guy has recently released a line of truck campers called the Cirrus. 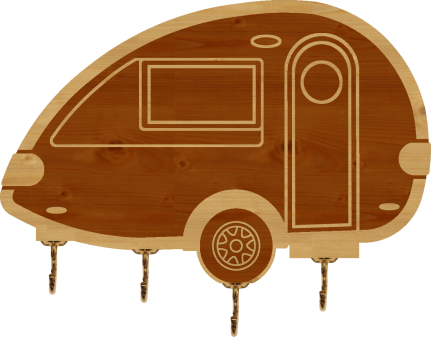 You’ll also find a link to Little Guy’s online store, The Teardrop Shop, on each page on The Small Trailer Enthusiast. 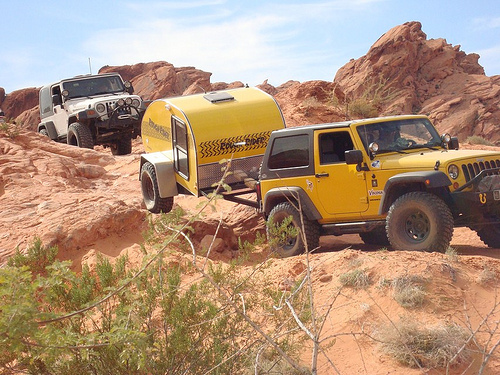 I’ve spent a good amount of time on their website, http://teardropshop.com, and I’ve been very impressed with the wide range of trailer parts, camping gear, and other camping accessories from well respected brands such as Paha Que, Coleman, Yakima, and Zamp Solar. 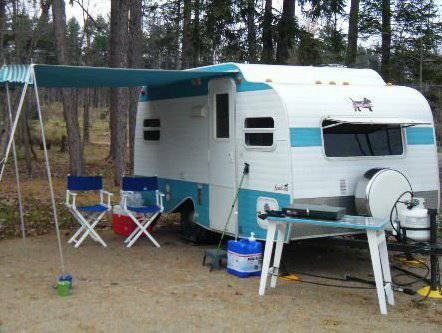 There are many accessories specific to Little Guy products, such as T@B awnings and tent rooms, but the majority of their products and accessories are suitable for RVers from the smallest teardrop to the largest motorhome. The Teardrop Shop web site is laid out very well among several categories and is incredibly easy to navigate. Little Guy has a huge following on social media, with just under 100,000 on their Facebook page (https://www.facebook.com/golittleguy) and over 3,000 followers on Twitter (https://twitter.com/golittleguy) You’ll find the website for Little Guy (http://golittleguy.com) and The Teardrop Shop (http://teardropshop.com) are easy to navigate and both provide great product detail. And finally, special thanks go to Little Guy Worldwide owner and president Joe Kicos for helping support The Small Trailer Enthusiast, and I’d ask each of you to visit both web sites and give them your support as well!